You know this thing about Glitter Force Games? We have some new games for you in our new category named Glitter Force games where you will meet the five super girls from the Japanese series “Smile Pretty Cure!”. Smile Pretty Cure! is an anime series produced by Toei Animation which was dubbed into English as Glitter Force by the company Saban and now everybody knows the series about this name. In Glitter Force Games you can find 9 games that we've published for these kids and childrens that are interested to play Glitter Force Games, this game gategory have been created on 21.12.2015. These games with Glitter Force Games have been voted 1 times and the avarage of vote is 5.00 stars. We advice you to play the last flash game from Glitter Force Games, Glitter Force Facial Treatment that have been published on 24.09.2016 10:34. Glitter Force Facial Treatment its a part of Glitter Force Games category and until now its played 31159 times. Try it now on Cute-Games.com! If your like the Glitter Force Facial Treatment game you can write a comment in the game page. Recommend this game to your friends if you like it! Glitter Force Coloring its a part of Glitter Force Games category and until now its played 28184 times. Try it now on Cute-Games.com! If your like the Glitter Force Coloring game you can write a comment in the game page. Recommend this game to your friends if you like it! Glitter Force Tic Tac Toe its a part of Glitter Force Games category and until now its played 11271 times. Try it now on Cute-Games.com! 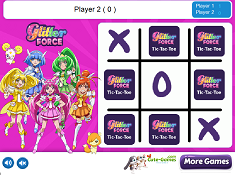 If your like the Glitter Force Tic Tac Toe game you can write a comment in the game page. Recommend this game to your friends if you like it! Glitter Force Make Up And Outfit its a part of Glitter Force Games category and until now its played 16615 times. Try it now on Cute-Games.com! If your like the Glitter Force Make Up And Outfit game you can write a comment in the game page. Recommend this game to your friends if you like it! Glitter Force Outfits its a part of Glitter Force Games category and until now its played 14305 times. Try it now on Cute-Games.com! If your like the Glitter Force Outfits game you can write a comment in the game page. Recommend this game to your friends if you like it! Glitter Force Dress up its a part of Glitter Force Games category and until now its played 41258 times. Try it now on Cute-Games.com! 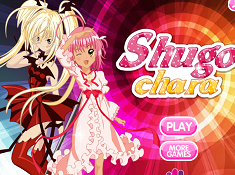 If your like the Glitter Force Dress up game you can write a comment in the game page. Recommend this game to your friends if you like it! Glitter Force Puzzle its a part of Glitter Force Games category and until now its played 15218 times. Try it now on Cute-Games.com! If your like the Glitter Force Puzzle game you can write a comment in the game page. Recommend this game to your friends if you like it! Glitter Force Memory its a part of Glitter Force Games category and until now its played 8509 times. Try it now on Cute-Games.com! 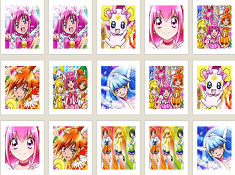 If your like the Glitter Force Memory game you can write a comment in the game page. Recommend this game to your friends if you like it! Find More About Glitter Force Games! The story presents a place, somewhere in the Universe where characters from fairy tale live and that place is called Marchenland but near exists another place called Bad End Kingdom where are living the villains from fairy tales. The villains from Bad End Kingdom are traveling to Earth to collect bad energy because they want to destroy the Universe to obtain the whole power and if this happen the Earth will suffer of the “Worst Ending”. To prevent them destroying the Earth, five legendary warriors which are five brave girls will try to stop them by collecting Cure Décor, the power of Marchenland Queen`s happiness. The five girls will fight with the villains to protect the Earth and also their world where love, peace and kindness lordly because it will be a shame to lose all those beautiful things and people just for the stupidity of the villains from Bad End Kingdom. One of the five warriors is Hoshizora Miyuki, known as Emily in English, a fourteen years old girl which is in love with books and fairy tales and when it`s need to transform for a fight she transforms in Glitter Lucky and uses the power of holy light. Hino Akane known as Kelsey is another warrior girl, from Osaka and is a member of the school`s volleyball team, she transforms into Glitter Sunny and he uses the power of fire. Kise Yayoi is known as Lily in English, a girl who is in the Homemaking Club, she is a little timid, shy and a crybaby but also is very loyal, her transformation consists into Glitter Peace and she uses the power of lightning. Midorikawa Nao is known as April, a tomboy which is part of the school`s soccer team, she got frustrating when the plans don`t go as she want and she transforms into Glitter Spring and she uses the power of wind. Aoki Reika known as Chloe is the 5th warrior, she is member of the Club Art and the vice president of the student council, she is an artist and she transforms in Glitter Breeze and uses the power of water and ice. Along with our protagonist another characters are fighting with evil and these are Candy and Pop, two mascots which are came to Earth to collect the Cure Décor pieces. Other characters from the series are the villains like Pierrot the emperor of Bad End Kingdom, Joker the leader of Wolfrun, Majorina and Akaoni which are three groups of villains leaded to make evil things and Akanbe, a group of monsters uses by villains to fight with Glitter Force. As I said, the series is made in Japan and it was dubbed in English so, many characters were having another name or some location are renamed but the story is the same even if you watch it in Japan or in English. We use the English name because we are an English sitcom reason for why here we used the English names but their look, abilities and others are the same so, you`ll meet them in their own way. Because we love fairy tales and all the super heroes we thing that this is a great story where you will see all kind of things from books like queens, kings, emperors, villains, super heroes, monsters and many others. 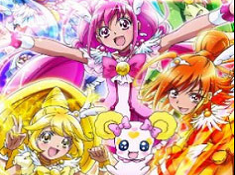 For that, we hope that you will enjoy our Glitter Force games where you will meet all these characters and you will have the chance to known their world and to fight with the villains to defend it. Also, we tried to bring here games for everyone because in the story is about five girls you can thing that we have Glitter Force games just for girls but we have these games even for boys are kids so, we invite everyone to try our games. We wish you a lot of luck and we can`t wait to see you in action and to see how you have fun playing Glitter Force games where you will go through new and fantastic adventures.